Posted by Khawarizmiya in cooking, sweets. Away from conspiracy theories… Yes, this time* it’s waffles! As usual, Better Homes & Garden‘s new cook book hasn’t failed me. This amazing recipe of Waffles found in the “Breads” section just tasted a-m-a-z-i-n-g! 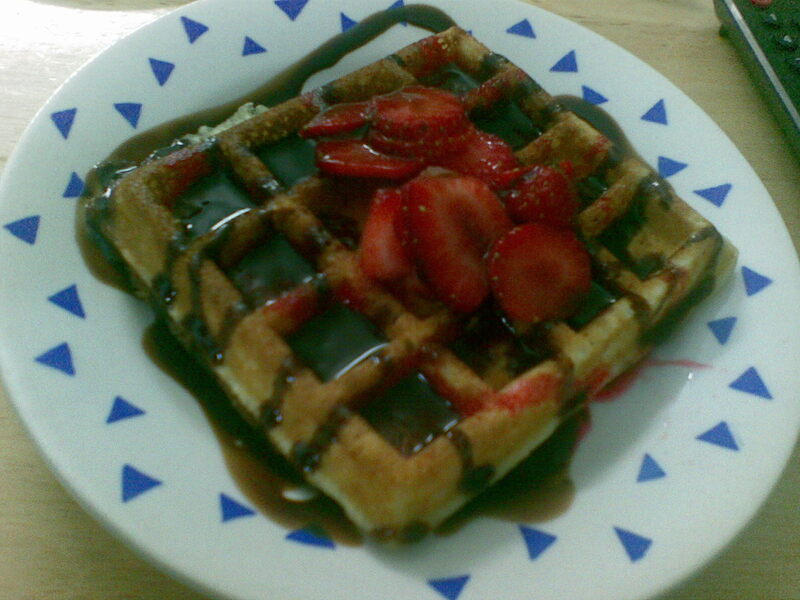 Of course, with a tasty addition of sweet chocolate syrup and fresh strawberry slices. 1. Stir together flour, sugar, baking powder, and salt. Set aside. 2. In another bowl beat eggs slightly, stir in milk, oil and vanilla. Add the moist mixture to the flour mixture. Stir just until moistened. 3. On a preheated waffle baker, pour around 1 cup of the batter into the grids. Close lid, don’t open until done; takes around 4 to 5 minutes. 4. Add chocolate syrup on top.. preferably Hershee’s. Add fresh sliced strawberries for maximum delight. Enjoy! *Previously implemented recipes: Legendary Chocolate Chip Cookies, Martha Stewart’s Molasses Biscuits. Posted by Khawarizmiya in Psycho, sweets. It’s amazing how a small thankful gesture like this one can make up for months of tension and exhaustiveness. I called the lady who sent us the chocolates to thank her, and she said that she’d never dealt with such respectful, hard-working people. Her kind appreciative words seriously put a big smile on my face for the rest of the day. Posted by Khawarizmiya in friends, sweets. Yes, one of my dreams have come true. Last week I baked my first fresh blueberry muffin. Yes! Fresh blueberries! Thanks to my genius friend Khadige who sent me fresh blueberries from Canada :) I can’t describe how surprised I was when I received them. I can’t describe how big my smile was, and how it lasted the whole day. I still smile at the thought of it! Thank you Khadige. For the trouble you went through picking those blueberries and packing them, and before that, for being the loving, giving, genius friend you are. 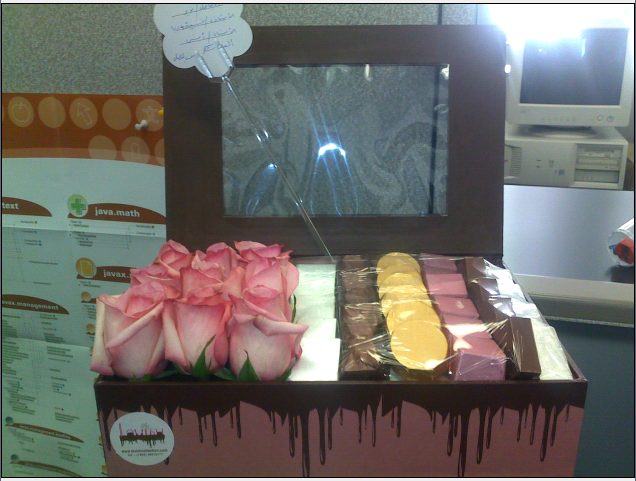 Posted by Khawarizmiya in cooking, recovered from blogspot, sweets. In our previous work  we implemented a proposed algorithm for baking Molasses Biscuits by Martha Stewart. In this work, we propose our own model which loosens up on the healthy ingredients and offers a tastier, more junkier type of biscuits: Chocolate Chip and Molasses Cookies. The originality of this work resides within introducing molasses honey as a new ingredient to the well-known chocolate chip recipe. 1. Heat the oven to 350 degrees F (175 degrees C). 2. Mix the flower and baking soda in a medium size bowl. 3. Mix the butter, oil, sugar, vanilla and molasses together using an electronic mixer until they blend together. 4. Add the eggs gradually on a basis of one egg per 3.14159265 second; keep stirring meanwhile. 5. Combine the dry ingredients with the moist ones. Put your resulting dough in the refrigerator until firm (takes up to 10 minutes only). 6. Shape your dough into small balls, place on ungreased cookie sheet. 7. Compile in oven for 15 minutes. 8. Serve with cold, cow, low-fat milk. I pwned Martha! This stuff is legendary. In a matter of hours almost all of it was gone, disappeared. People loved it. The addition of molasses has made the cookies soft and chewy yet hasn’t affected its sweet, rich, chocolat-ish flavor. Abstract: This work aims to present an original interpretation of M. Stewart’s proposed model for baking molasses biscuits. We apply the algorithm in our kitchen system under a given set of constraints, after adding some modifications which exemplify our contribution to the original recipe. By reducing the value of the input parameter cloves to the recipe, from 2 teaspoons to 1 teaspoon, and by observing the tastiness of the output, we conclude that the more you reduce cloves, the better your biscuists taste. 2. Mix the flower, oats, baking soda, ginger powder, clove powder, salt in a medium size bowl. 3. In another bowl -obviously-, mix the butter, sugar and molasses together. Use an electronic mixer; start with a slow speed then increase gradually. 3.1 Add one egg, then mix. Add the second, mix again. 5. Now that your dough is ready, shape your biscuits into rounds, and gently press to make it a bit flattened. 6. Compile in oven until golden brown. Takes about 20 to 25 minutes. 7. Serve with tea (or any drink that distracts people a little from the funny taste of your biscuits, if any). See figure (1) for a visual snapshot. Fig.1: They taste better than how they look. 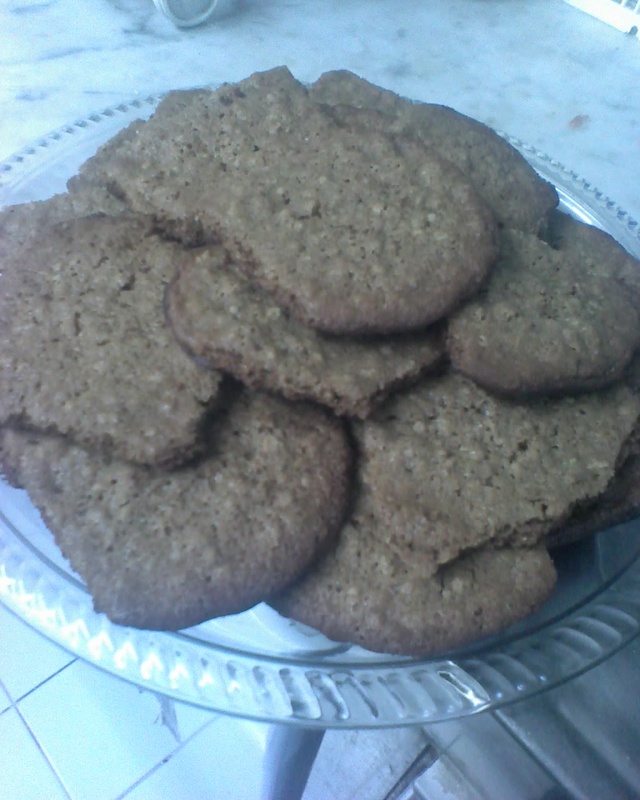 We conclude from the results that our method yields to tastey biscuits. We intend to work more on the ginger factor as we have observed that the taste of ginger wasn’t noticable enough. Also, we will study the reasons behind the hideous looks of our biscuits, and will work on adding some touches to improve it. We shall also apply other algorithms that target different types of biscuits (e.g. chocolate revel bars), and compare both their complexities and their outcomes.